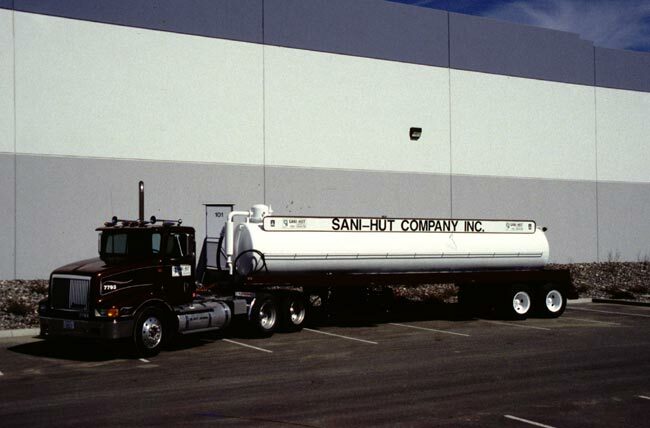 Sani-Hut offers trucks to handle any size job. Special service trucks are available for more complex jobs. We can move your semi-van trailers, small 8' x 20' office trailers, or up to 12' x 60' office trailers. Other services are also available. Contact us for more information. 1. 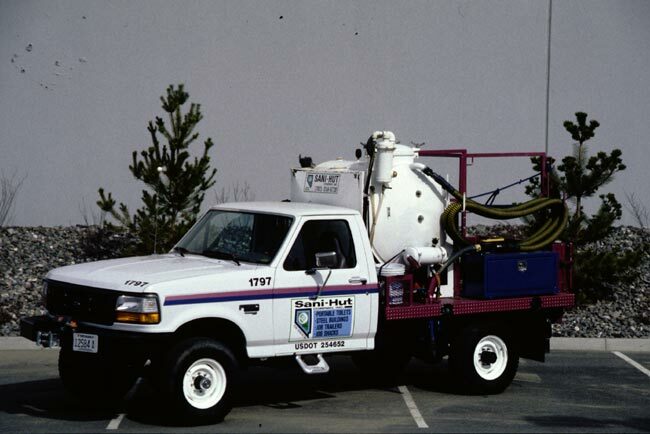 Our 1-ton hotshot delivery and service truck. 2. 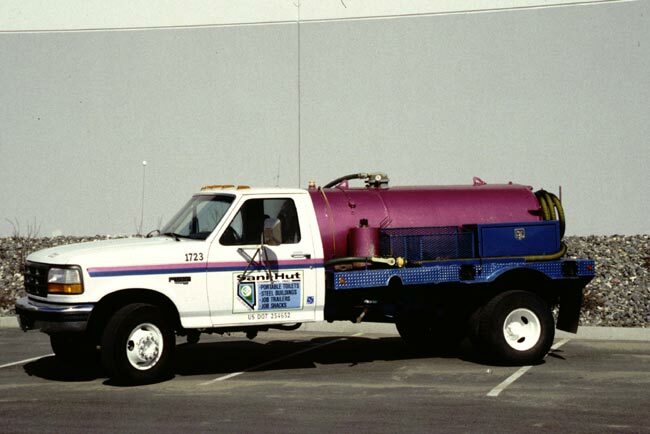 Our 1-ton service truck. 3. Our mid-sized service truck. 4. 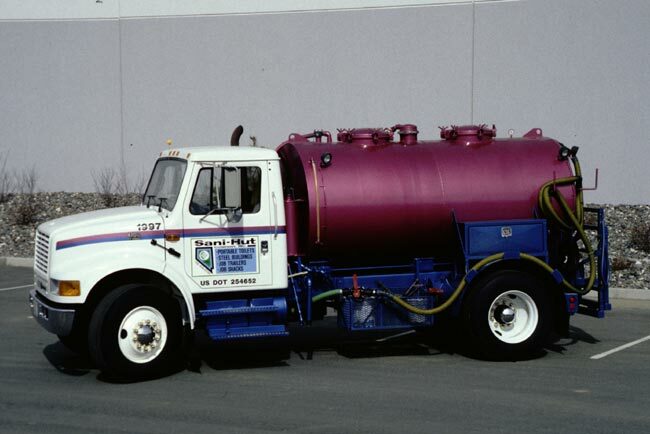 Our large service truck. 5. 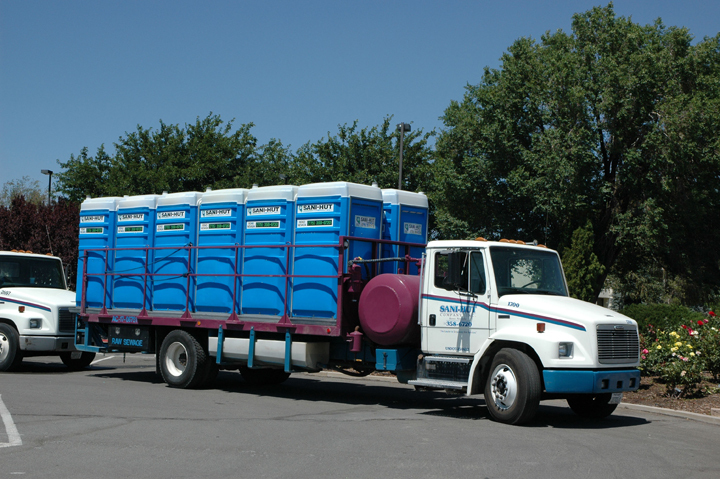 Our restroom delivery truck. 7. 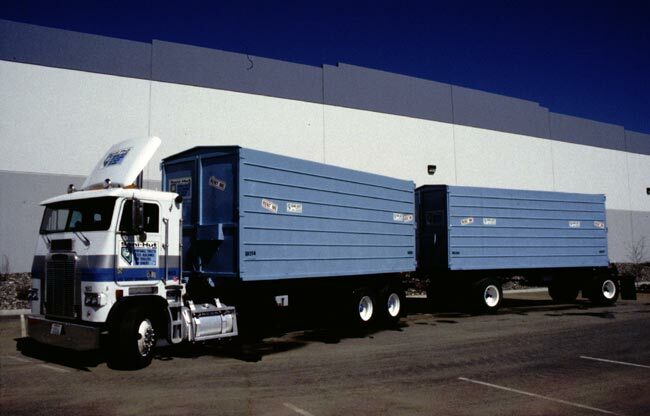 Our 5,000-gallon tractor trailer.